This is a sponsored conversation written by me on behalf of Reese Specialty Foods. The opinions and text are all my own. I would definitely have to say that the kitchen is the heart of my home. Whenever I have friends or family over, somehow everyone always ends up congregating around the counter, munching on snacks and spending quality time together. So it’s always a MUST that I have something cooking or ready to serve for my get-togethers. Today, I’m switching up a traditional recipe with a few unexpected ingredients, but a whole lot of flavor! 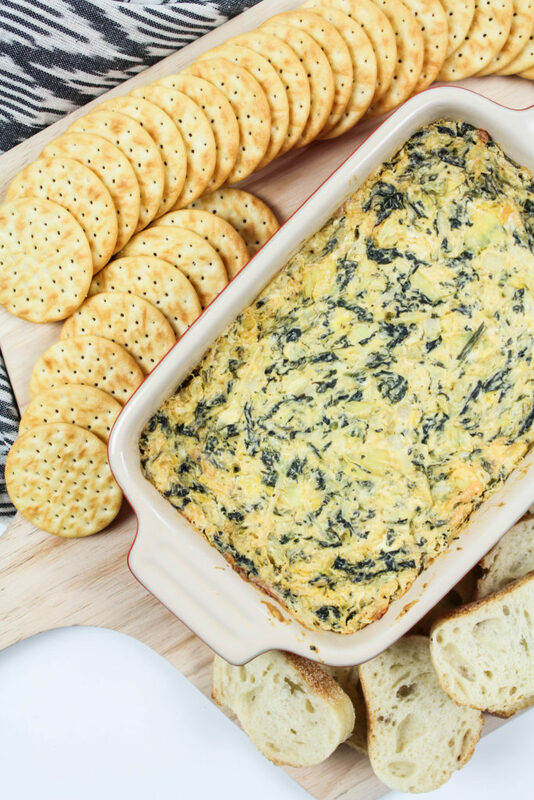 This buffalo spinach artichoke dip is the perfect dish to serve your hungry guests and upgrade a common and basic appetizer into something fresh and new!